By Manfred Bortenschlager, 07 March 2014, 0 comments. Categories: Android, Development Tools, iOS, Languages, Testing. We all know user experience (UX) and understand the importance of it. Developer experience (DX) is fairly established by now, too. 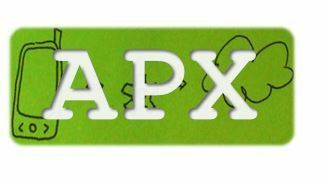 With the emergence of open APIs, a further X joins the party, which needs to be taken care of: APX (=application programming experience). By Manfred Bortenschlager, 27 January 2014, 0 comments. Categories: Android, Development Tools, iOS, Testing. By Manfred Bortenschlager, 23 January 2014, 0 comments. Categories: Development Tools, Languages, Testing. On 13 November 2013, I was invited to the Business of API conference organised and hosted by Mashery. The venue was held at the Millbank tower and London weather-wise presented itself from its best side, which allowed an awesome view. By Manfred Bortenschlager, 15 November 2013, 0 comments. Categories: Development Tools, Languages, Platforms, Testing. What’s the value of Operator APIs for developers? By Manfred Bortenschlager, 11 November 2013, 0 comments. Categories: Development Tools, Industry. This post is influenced by a recent discussion on the Developer Evangelists group on LinkedIn about “What developers want from API providers.” I bring together various trains of thoughts here. What developers want from API providers ? By Manfred Bortenschlager, 06 November 2013, 0 comments. Categories: Design, Development Tools, Languages, Testing. By Manfred Bortenschlager, 30 October 2013, 0 comments. Categories: Development Tools, Enterprise. I consider the Lean Startup principles as very useful and efficient – not just for launching a startup, but also for any internal activities or projects you may have. If you are interested you can read up on a summary about the “Lean Startup principles and mobile app development”. By Manfred Bortenschlager, 16 October 2013, 0 comments. Categories: Design, Development Tools, Testing. Open APIs: David’s slingshot against Goliath? The $2.2 trillion worldwide telecom industry (revenues projected for 2013) is changing. Consumer behavior and demand is changing. One driver for this change — or a consequence depends on how you see that — are APIs. By Manfred Bortenschlager, 10 October 2013, 0 comments. Categories: Development Tools, Testing. I am interested in mobile apps in a very broad sense. I like to ponder about mobile apps strategy, ecosystem dynamics, APIs, developer evangelism and personal efficiency. Stuff I collect here sparked my interest and is pretty random but defines me. Everything presented here is my own view.